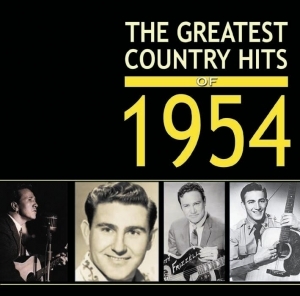 This collection of 56 of the most popular Country recordings of 1954 features hits from the following charts “Most Played in Jukeboxes” – 10 positions; “Best Sellers In Stores” 15 positions and “Most Played By Jockeys- 15 positions. The chart position listed is the highest the disc attained on any of the charts. Most discs appeared on all three charts some on only one or two. The tracks are presented in rough chronological order approximating the way they may have been heard on radio in 1954.